Organise events for common benefits of members. This refers to the SEBI (Mutual Funds) (Fourth Amendment) Regulations 2018 which, with effect from 1st April 2019, reduces the limits of the Total Expense Ratio ( TER) of the various Mutual Fund schemes. We note that the reduction in the limits of TER w.e.f 1.4.2019 was stipulated by SEBI based on the perception that the growth of the mutual fund industry has reached a level where economies of scale are available and the benefits thereof must be passed on to the investors. While moving these proposals SEBI observed that the benefits of such economies in debt funds have largely been implemented due to the fact that the predominant subscription of debt schemes are by corporates and institutional investors, who due to their sheer size, are in a better bargaining position. However, as far as equity schemes are concerned, where the predominant investor base is retail, such benefits of economies of scale have not been passed on to the investor. During discussions with members of the distribution community, post the announcement of the proposal, the Regulator informed that the objective of such a reduction in TER with effect from April 1 2019, was to get the mutual funds/AMCS to pass on the benefits of economies of scale to the investors. In our discussions with the Government on this subject, we were given to understand that the cut in TER was not a step to cut distributor commissions. The benefit of economics of scale on account of the growth of the size of the industry or the growth of the assets under management may accrue to the Asset Management Companies as the cost of Investment Management does not increase in the same proportion as the growth in the assets under management, given the vast distribution network at its disposal. However, as far as the distribution community is concerned, similar economies of scale at the distributor level has not been reached given that the coverage and scope of the individual distributors is very limited. Thus, the benefit of economies of scale being only available to the asset management companies/ mutual funds the reduction in TER is not expected to be passed on to the distributors by reducing the commissions paid. We therefore trust that there would be no reduction in the distributor's commission arising from the implementation of the revised TER. Any intended cut in the distributor commissions would be counter-productive, against the objective of promoting the growth of mutual fund industry and not in consonance with the rationalisation behind the reduction in TER. The distribution community looks forward to working closely with all stakeholders to achieve the goals of financial inclusion and financial independence of the citizens of our country. 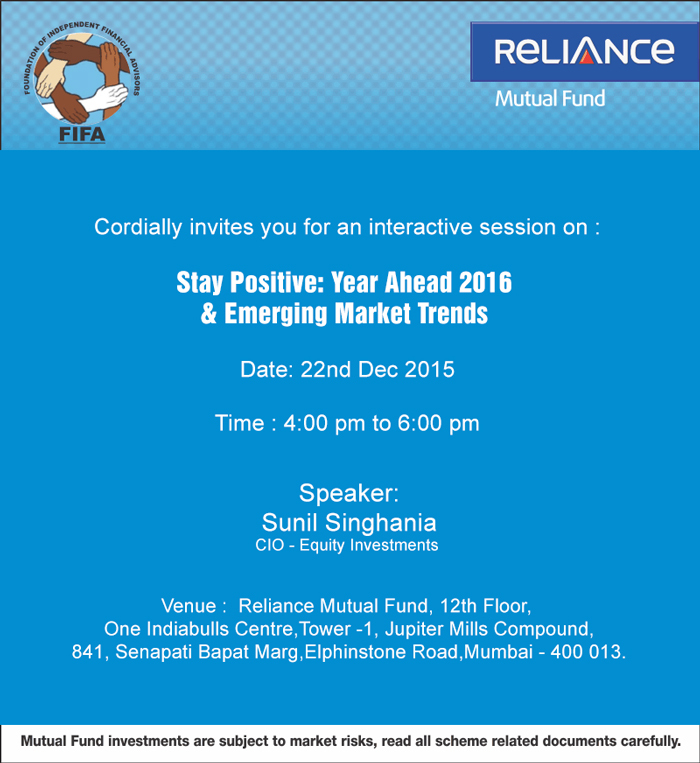 Interactive session on "Stay Positive: Year Ahead 2016 & Emerging Market Trends"
The government has requested all stakeholders to forward their comments/suggestions on the above report. On behalf of the Foundation of Independent Finacial Advisors which represent the United Forum of IFA associations we submit our comments/feedback on the Sumit Bose Committee Report. We hope our feedback is considered by the government while formulating its views. We would appreciate a personal meeting to explain our views. The Sumit Bose committee submitted its report to the Government on 10th August,2015. SEBI has invited Public Comments on recommendations with respect to Mutual Funds at para number 6.2.1 of the report by 12th October 2015. 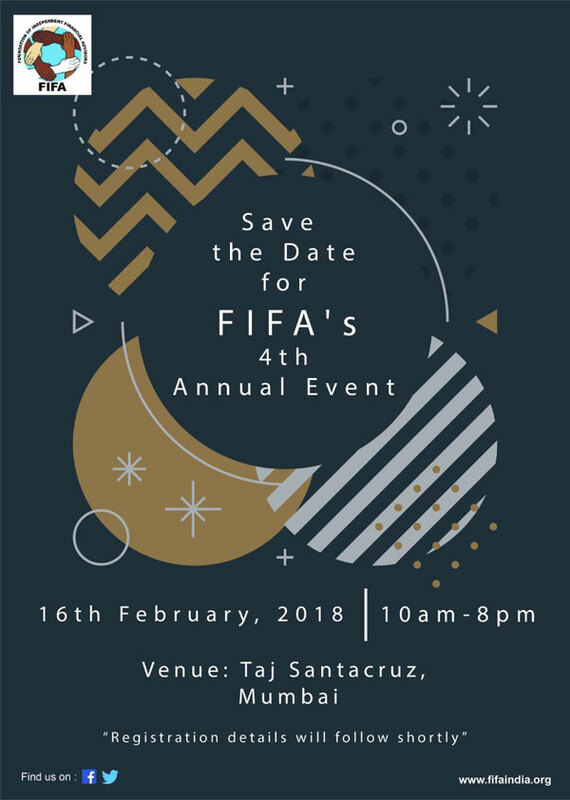 The Foundation of Independent Financial Advisors,(FIFA) a pan India body of Independent Financial Advisors (IFAs) being a stakeholder gratefully acknowledges the opportunity provided by SEBI to submit its comments/suggestions. 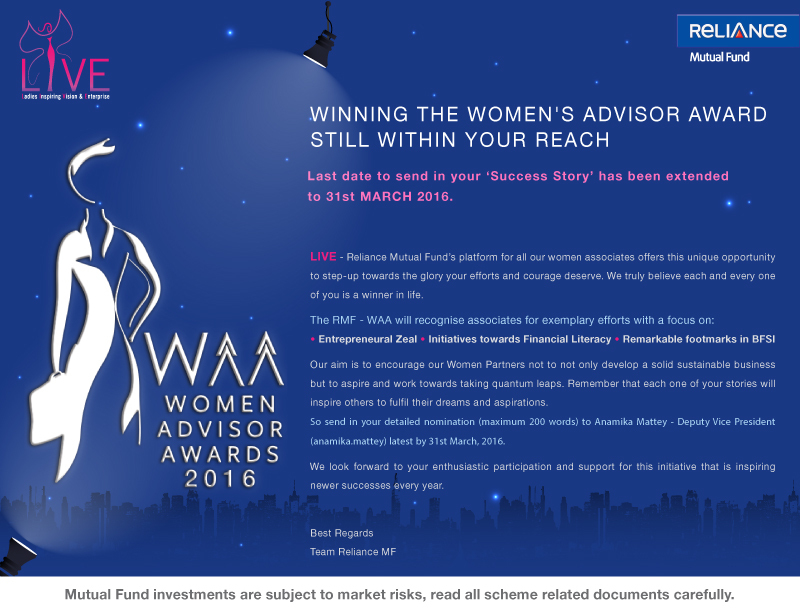 We are attaching herewith a brief profile on IFA (Independent Financial Advisors) model. The Foundation has been invited earlier by SEBI and the Ministry of Finance in 2013 to discuss the steps needed to be taken to re-energise the Mutual Fund Industry. 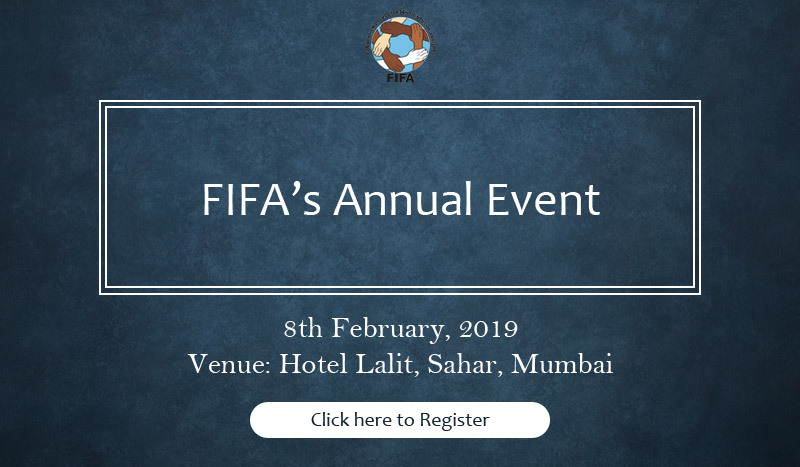 The Foundation has joined hands with a number of other local/regional associations of IFAs to form an United Forum to represent IFAs across the country and submitted their consolidated feedback. On behalf of the United Forum and the whole IFA community ,FIFA is are attaching herewith our comments on the recommendations with respect to Mutual Funds at para number 6.2.1 of the report. We hope our feedback is considered by the SEBI while formulating its views. There is a general perception of the industry that the TER (Total Expense Ratio) of Mutual Funds in India is extremely high. The 2015 edition of the Morning Star study "Global Fund Investor Experience Study June 2015" (hereinafter referred to as GFIE Report) covers fees and expenses for funds for 25 countries including India. This report was created to encourage a dialogue about global best practice for mutual funds from the perspective of fund shareholders. We have carried out a STUDY ON EXPENSE RATIOS FOR MUTUAL FUNDS. The objective of the study is to analyse the fees and expense ratios for the asset classes prevalent in India as compared to the global market for the domiciled funds. Conclusions that TER in India is indeed high are drawn going by the reports of research agencies such as Morning Star without giving due consideration to all ingredients of the cost of ownership to the investor. An in depth perusal of the Global Fund Investor Experience Study, the 2015 edition of Morning Star destroys the myth of India being one of the high T.E.R. countries. According to the GFIE Report the Average Median Expense Ratio for money market funds in India is 0.18%. India is ranked as the 3rd least expensive country out of 25 countries reviewed in GFIE Report. According to the GFIE Report the Average Median Expense Ratio for Fixed Income funds in India is 0.53%. India is ranked as the 6th least expensive country out of 25 countries reviewed in GFIE Report. Money Market and Fixed Income Funds comprise of 9.14 trillion that is almost 2/3rd of the total assets managed by the Indian Mutual Fund Industry which is being managed at a weighted average cost of 0.40%. In the GFIE Report, the TER for Equity Funds is shown as 2.65% for India. However, we carried out an independent study which indicates TER for Equity Oriented Funds as 2.07% (1.81% before Service Tax). In case of equity funds, if the total cost of ownership i.e. front load charges + annual expense + advisory fees + platform access charges + performance fees, is considered then India is ranked as the 5th least expensive country out of 25 countries reviewed in GFIE Report. We have written to Morning Star about the discrepancy observed in expense ratio for Equity Funds in India. The response from Morning Star has not been received till the time of writing this report. 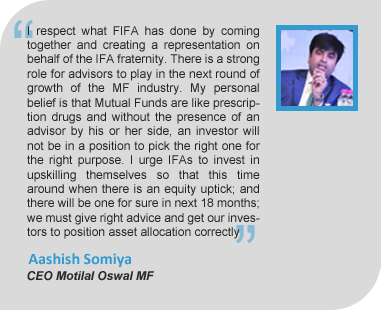 Annexure 7: Karvy's report : "Key Highlights of Indian MF Industry and a Few Important Data Points"
© FIFA, 2012. All Rights Reserved. M/s. Foundation of Independent Financial Advisors in Axis Bank Ltd.
12 Moti Mahal, Next to CCI Club, Mumbai.